to constitute the first two years of a baccalaureate degree program. In addition to lower division introductory coursework in Creative Writing, the 40-credit Minnesota Transfer Curriculum (MnTC) is completed within the degree to facilitate transfer. For assistance in program planning, or to explore additional transfer options, students should schedule a time to meet with an academic advisor. This degree may transfer in part or in its entirety to baccalaureate institutions. Students should meet with a representative of the transfer institution when planning their program. Some students may need preparatory courses in the areas of English, mathematics, or reading. 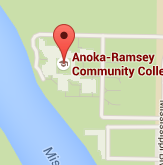 Courses numbered below 1000 will not apply toward this degree. Demonstrate critical knowledge of a wide range of contemporary literature and a variety of diverse cultural viewpoints. Demonstrate expertise in critical analysis of professional works of creative writing as writers (reading as writers). Demonstrate knowledge of prosody, narrative strategies, forms, genres, and aesthetics by learning to write well in many creative forms. This includes a basic command of grammar. Demonstrate intellectual discipline by narrowing one’s creative focus and energies to produce the most effective work while meeting deadlines and managing time effectively. Demonstrate habits of creativity in the form of experimentation, inventiveness, and revision. A minimum cumulative grade point average (GPA) of 2.0 in all MnTC courses. NOTE: The requirements of this program are subject to change without notice. Students are encouraged to contact an academic adviser at 763-433-1230 for course planning assistance and information about transfer credit evaluation. Choose a minimum of 9 credits from these courses (these also fill Goal 6 of the MnTC). All ten emphasis areas listed below must be completed. A total of at least 40 semester credits from courses listed in the MnTC must be satisfactorily completed. The additional 8 credits to meet the required 40 MnTC credits are embedded in the Program Requirements, as well as satisfying six of the ten goal areas of MnTC. One course may satisfy more than one emphasis area, but the course credits may be counted only once. 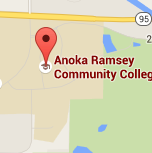 "Anoka-Ramsey has many great opportunities to explore your interests. When I enrolled, for example, two of my big interests were writing and theatre. I was able to take a wide range of writing classes, join the Creative Writing Club, and take part in editing the school's literary journal “The Rapids Review.” In theatre, I took several classes and acted in the school's production of “The Miser.” In each experience, I met like-minded students and knowledgeable, personable instructors who I now call friends."